MK says we must disconnect from leftist organizations because they have cut themselves off from the rest of the nation and its suffering. 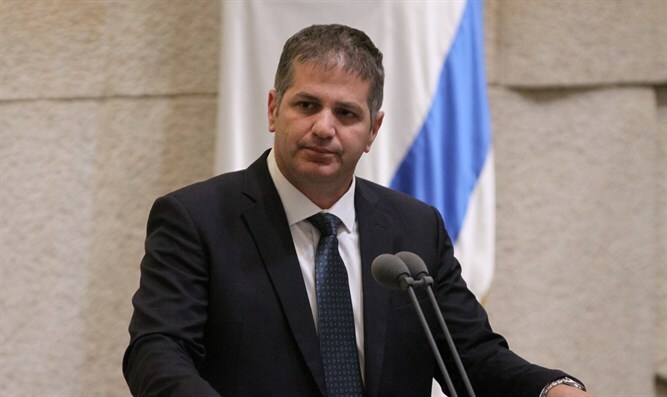 Knesset Member Yoav Kish (Likud) spoke out against the radical leftist organizations Peace Now, and B’Tselem, whose representatives have been invited to a UN Security Council meeting about the so-called Israeli 'settlements' in Judea and Samaria tomorrow. Peace Now has announced that it will not be sending a representative to the meeting, which is to be titled "Israeli settlements as an obstacle to peace and the two-state solution." "Organizations like Peace Now and B'Tselem must be cut off," Kish said, "because they have already cut themselves off from the discourse of Israeli society, from the people who democratically elected their leaders in the Knesset. They don't care about the terror wave affecting Israel or the constant incitement to kill Israelis." "They have cut themselves off from the bereaved families who lost loved ones. They have cut themselves off from the soldiers and security forces who sacrifice their lives to protect this nation," he added. "They cut themselves off from history," Kish concluded. "The Jews who were scattered for hundreds of years prayed to return to Zion. They left their homes and established here the most beautiful and wonderful country. Peace Now and B'Tselem have cut themselves off. It's time we cut them off."